"Pixel" is a stunning contemporary dance performance for 11 dancers in a virtual and living visual environment. A work on illusion combining energy and poetry, fiction and technical achievement, minimal music and hip-hop. It opens a dialogue between the synthetic world of digital projection and the real bodies of dancers. 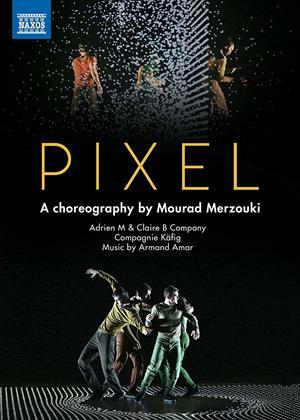 'Pixel' is a contemporary cross-cultural dance extravaganza which will be popular among younger viewers, in particular.